From a bare building site in 2007, to a small office in a tiny school, through to a flourishing school of over 1000 pupils Elaine has been with BSB literally the longest of all the employees. She watched the Shunyi campus grow from a green field site, saw the integration of BSB into the Nord Anglia family and watched her team grow from 1 (herself) to an extensive support team of nearly 200 colleagues. It has been a massive learning curve alongside welcoming two sons into her own family in 2009 and 2012. 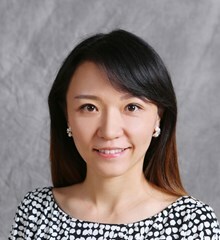 Elaine holds a Bachelor's Degree in Communication from the University of Colorado, Denver and a Master's Degree in International Relationships from China Communication University.